This mill owner's mansion in Chapel Allerton with a gruesome history is being brought back into use. 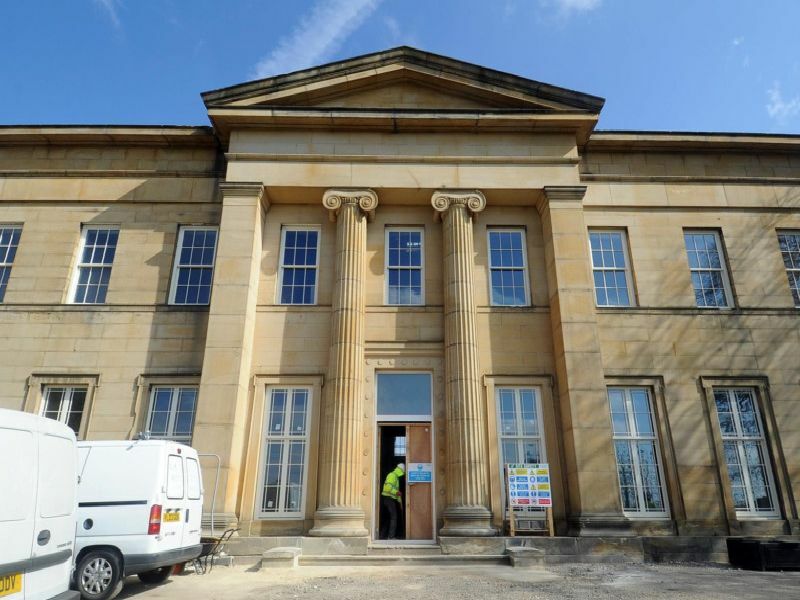 Gledhow Grove, next to Mansion Gate, has been derelict since the mid-1990s, but has now been given a new lease of life by a developer who has converted the mansion into flats and executive houses. Several more properties have been built in the grounds, which include a stable block and the original courtyard. The Grade II-listed mansion was built for flax spinning mill owner John Hives in the 1830s. He ran Bank Mills on East Street, one of Leeds' largest, and is buried in the cemetery in Chapel Allerton. After Hives left the property, Gledhow Grove became a military hospital specialising in the treatment of soldiers injured in World War One. Major advances in artificial limb technology were made there. During World War Two, a bomb shelter was constructed in the basement, and additional wards and a nurses' home were built next to the mansion, on land which is now occupied by housing. Ashcourt Homes submitted a planning application for the conversion in 2014 and have been working at the site since 2017. The main building has become six apartments and houses and 12 brand-new properties have been built in the grounds. The most expensive property is a three-bedroom home inside the hall itself which is on the market for £625,000. Several others have been sold or reserved off-plan. The mansion's dilapidated state meant it required extensive repairs and the demolition of the eastern wing - which was a later addition to the original house - to accommodate parking for 50 residents. Several original features, including the grand staircase and eastern bay, have been intricately restored. After the war the site passed into NHS ownership and continued to operate as a medical facility until 1994, when services were transferred to the new Chapel Allerton Hospital. The abandoned house subsequently became a magnet for urban explorers. The old recording studio for the hospital radio station, Radio Allerton, could still be seen in their photos and video footage. In 2008 a group discovered confidential patient records inside filing cabinets stored in the basement after the site had been cleared.